American Bar Association, 9781590318188, 284pp. 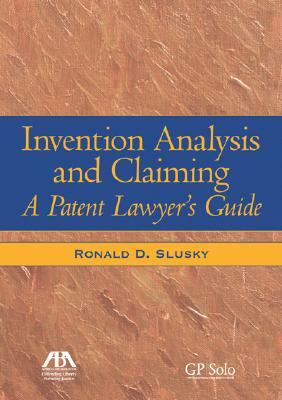 This book is a comprehensive approach to analyzing inventions and capturing them in a sophisticated set of patent claims. It provides the reader with practical pointers and guidance and uses everyday inventions as references, such as the ball point pen and paperclip.